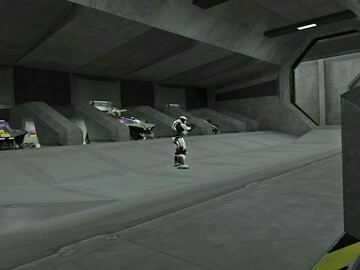 Description: A D40 Multiplayer variant A multiplayer map of the end of Halo 1 warthog race. This is pretty much a map where you race your friends to the end of the D40 warthog run. race is not actually supported, use slayer. also, make sure that your opponents are not too far behind, or they will be cut off when the next BSP loads. One more thing, this supports two different types of warthog, rocket and standard, I wanted to add the Yohog too, but couldn't get it in Multiplayer.